Music has always played an important role in all our lives, especially Reggae, the music genre first developed in Jamaica, strongly influenced by traditional African, American jazz and old-time rhythm and blues. Reggae owes its direct origins to the progressive development of Ska and Rocksteady in 1960s Jamaica. Right here, THE MUSICAL COA-COA BASKET will salute the legendary artists and recording studios from out of Jamaica that have placed reggae on the musical global map. He was (and still is) one of my favourite reggae Deejay ‘toasters’. During my teenage years and sound system days his music was the most popular at Blues Dances, parties and in all the dance halls. To me, he was a man with a message, one of the true foundation deejays; a reggae sensation of 1970s Jamaica and one of the first Rasta superstars, even before Bob Marley. 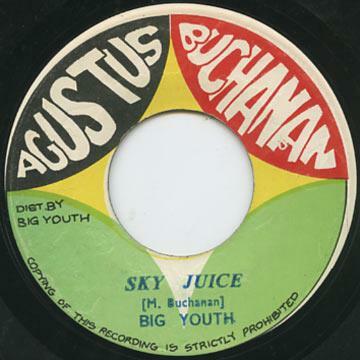 Born Manley Augustus Buchanan April 19, 1949 in Kingston, Jamaica, Big Youth‘s formative years were spent growing up in and around Princess Street, the central downtown area of the city. He was given the name Big Youth from the early days of his childhood because he was the tallest among his friends, and by his co-workers at the Kingston Sheraton hotel, where he was employed as a mechanic. Big Youth joined the ‘Back-A-Wall’ Rasta community, grew his dreadlocks and learnt about the teachings of His Imperial Majesty. Originally, he toasted to himself (the Deejaying equivalent of the air guitar), and eventually he took the chance of picking up the microphone at a few parties. The enthusiastic response he received urged him to perform at dances, and by the late 1960s, he had a small, but keen following. This fan base quickly grew and as a new decade arrived, Big Youth was Deejaying regularly with Lord Tippertone’s sound system, quickly becoming the top DJ for the outfit. Big Youth arrived on the music scene in the wake of U-Roy, Dennis Alcapone and I-Roy. He quickly established his own style, and threatened to outshine them all. His main influence was obviously the ‘God Father’, ‘Daddy’ U Roy, whose fame grew in a period in which the ‘deejay style’ conquered reggae music and the dance hall. U Roy took sound system deejaying to another level and developed the authentic, creative, improvised free-style verses, riding the rhythm that had the people in the dance halls rocking. Within U Roy’s musical psalms, Rastafari eventually became the main source of his inspiration, with some excerpts of U.S. ‘black culture’ he chanted powerful rhymes to enlighten and empower the thoughts, topics and opinions of the Jamaican ghetto people as well as the Afro-British youth of 1970s Britain. Big Youth’s first important musical education in this area however, was through Lord Tippertone Hi Fi Sound System where he began as a professional live deejay, alongside Jah Stitch and with people like Wong Chu and Jah Wise as selectors. As his skills grew he created his unique way of chatting about Rasta consciousness and by putting into his lyrics the contents of the socially committed tunes of people like James Brown and Curtis Mayfield. A great experience in those early years was when he met other fellow musicians and singers in Orange Street, the musical avenue of downtown Kingston in which Big Youth met people like Dennis Brown, Gregory Isaacs and The Heptones. A great moment in Big Youth’s growing career was the night in which Tippertone Sound beat King Tubby’s Hi Fi Sound in a sound competition with I Roy on the microphone alongside Tubby, (resident deejay U Roy was at that time not in Jamaica). 1972 was a key year for the young Big Youth: Gregory Isaacs released ‘Movie man’, his very first single and among his first single tracks, Jimmy Radway produced ‘The best Big Youth’, Lee Perry’s ‘Moving Version’ (over the Wailers’ ‘Keep On Moving’ version), ‘Tell it black’ and ‘Phil Pratt thing’ with Phil Pratt, ‘Tippertone Rocking’ and ‘The Killer’ for the young producer Gussie Clarke. With U Roy spending time abroad, Big Youth was the main deejay force around and he scored his first Number 1 hit with the brilliant ‘S 90 Skank’ done with Keith Hudson. Other 1972 highlights were ‘Chi Chi Run’ (produced by Prince Buster), ‘Come into My Parlour’ and ‘Opportunity Rock’ (produced by Glen Brown). 1973 was another crucial year for Big Youth: he scored again with ‘A So We Stay’ (over Dennis Brown’s ‘Money In My Pocket’ riddim), and ‘Cool Breeze’, produced by Derrick Harriott over Keith & Tex’s ‘Stop That Train’ version. In those years every singer’s tune had his/her deejay-style counterpart and this was often preferred by the audience instead of the original tune. In 1973 other producers released their first albums: Gussie Clarke sold to Trojan Records ‘Screaming Target’ and Prince Buster released in Jamaica ‘Chi Chi Run’, an instrumental album with three Big Youth tunes. 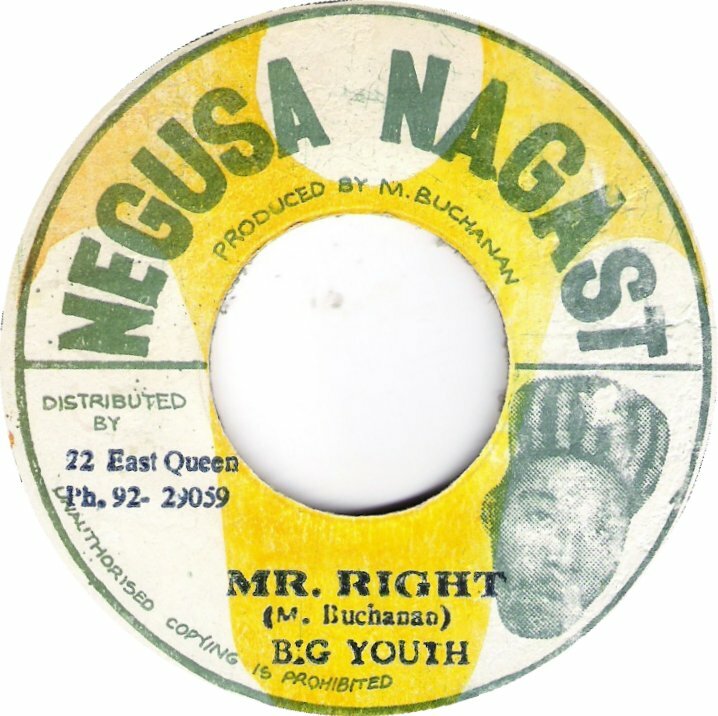 Big youth was the number one artist in Jamaica but he remained poor and was still living in a shack in the ghetto side of town, this was the reason why he began to work as a freelance artist founding his Negusa Negast and Augustus Buchanan record labels, and began controlling his own work but kept a good relationship with many producers. His popularity was getting bigger and bigger in Jamaica: he was the first artist to introduce Rasta terminology in his tunes and he sang about Natty Dreads long before Bob Marley, creating a brand new style. 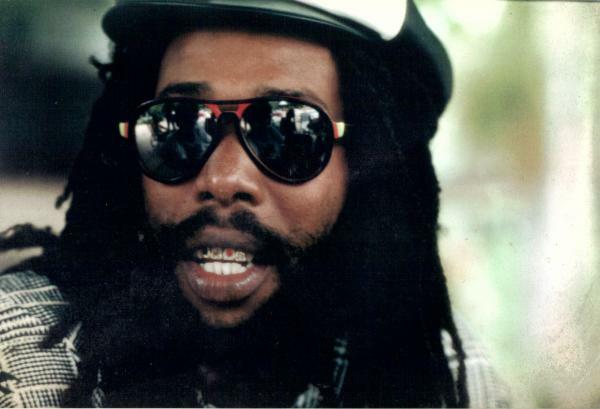 He was also one of the very first dreadlocked artists in Jamaica and his visual impact was even more surprising after a having a dentist implant in his three front teeth, three coloured stones to get a very distinct red gold & green flag. 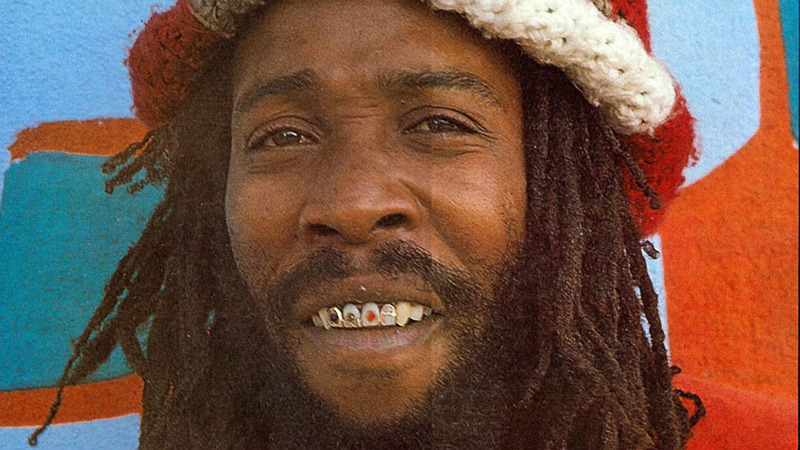 In 1974 he released on his Negusa Negast imprint his third album ‘Reggae Phenomenon’, followed in 1975 by the excellent ‘Dreadlocks Dread’, an album that had and iconic standing with Burning Spear’s ‘Marcus Garvey’ and Bob Marley’s ‘Natty Dread’ an example of him co-dominating roots rock reggae. Other great Big Youth albums from the seventies were ‘Natty Cultural Dread’, ‘Hit the Road Jack’ and one of my all-time favourites ‘Isaiah First Prophet of Old’. During the continuous stream of his creativity of those years, Big Youth tried to raise his popularity as a singer, voicing versions of U.S. classics from Ray Charles, Marvin Gaye and even Burt Bacharach, but his singing didn’t surpass his deejay ability. 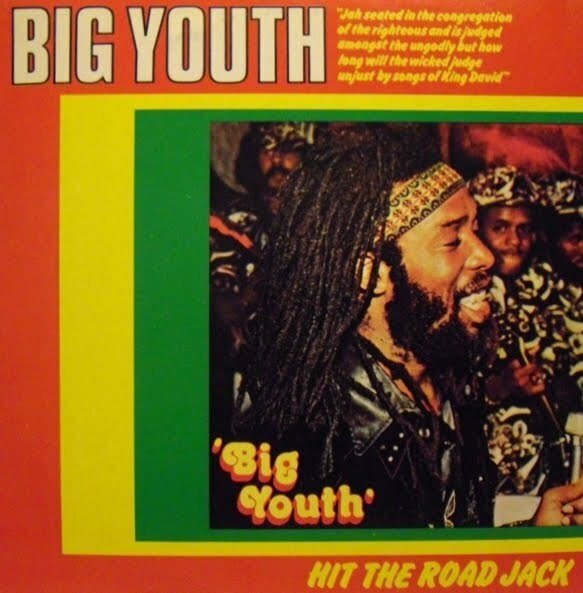 When the 1980s came, Big Youth was an international reggae icon but his productivity decreased. 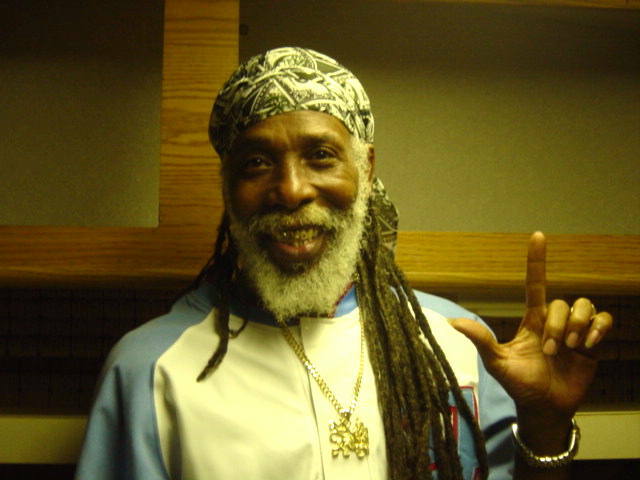 In 1983 he released a live album recorded at Reggae Sunsplash and some fine works for the U.S. Heartbeat label. In the nineties he kept recording music, one of which was an album with Junior Reid entitled ‘Higher Ground’, and ‘Save the Children’ produced by Trevor Leggo Douglas, which was released in France by Declic Records and collaborating with Style Scott’s Dub Syndicate. In 2001, the specialist Blood & Fire label dedicated to Big Youth the monumental three-CD set ‘Natty Universal Dread 1973-1978’ and that was without doubt a tribute to some of Big Youth’s best works. To this day he continues to have an impact on both his own nation and beyond. Jah Yout’ we salute you! This entry was posted on December 21, 2013 at 7:02 pm and is filed under Articles, Arts, Black British Literature, Black History, Community, Culture, Current Affairs, Education, Music, News, Newsletter, Publications, Reggae, Television, Writing with tags Articles, Arts, Black British Literature, Black History, Community, Culture, Current Affairs, Education, Music, News, Newsletter, Publications, Reggae, Television, Writing. You can follow any responses to this entry through the RSS 2.0 feed. You can leave a response, or trackback from your own site.